Your child wants to be accepted in the school of their choice? Our program dedicated to preparing students for high school entrance exams begins with simulated exams, which last approximately three hours. These exams immerse the student in conditions similar to those they will experience while writing the real exams. The evaluation of the simulated exam is done very quickly. A few days after the simulation, you will receive a complete evaluation, which will provide you with the results of the exam as well as all the notions that should be reviewed. This evaluation is the key to our program. It will clearly tell you how your child is doing and help you target their learning objectives. 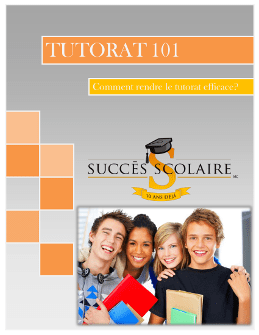 School Success offers you the possibility of using a certified tutor to help your child. The tutoring sessions are one-on-one and the tutor adapts the sessions to the results of the simulated exam. Individual help allows us to concentrate on your child's unique challenges and provide them with tips and tricks in order to succeed. As a general rule, for a complete revision, a dozen hours of tutoring is recommended.